Seychelles Yacht charters, whether they be on a sailing or motor yacht are the absolutely amazing. The clarity of the water is unparalleled and home to some of the most unbelievable wildlife. 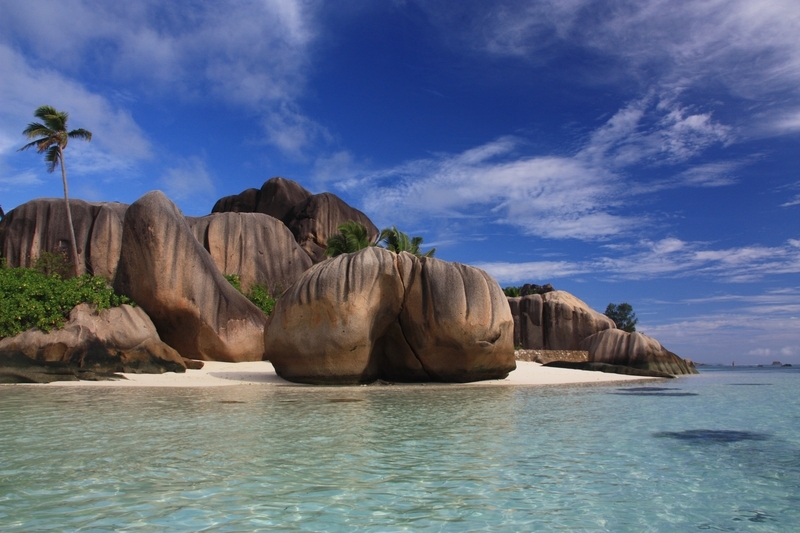 The Seychelles Islands in located in the Indian Ocean, NE of Madagascar, ans comprises 115 islands. Their names wildly evocative, like Mahe, the capital, Praslin and La Digue, Fregate, Felicite, Amirantes, Desnoeufs, Farquahar and the far away Aldabra – home to a population of over 100,000 giant Sea Turtles – more than ten times the number in the Galapagos. These intriguing islands have been a favorite destination for both crewed yacht charterers and bare boaters for years. Populated by mixtures of Europeans especially from France and Great Britain, but also Africans, Malagasy peoples, Indians and Chinese. In addition the the native Creole, French is widely spoken in the Seychelles, make this beautiful place a preferred bare boating and crewed yachting destination. Lying 1,000 miles off Africa’s east coast, between 240 and 600 miles north of the equator in the Indian Ocean, the islands that comprise the Republic of Seychelles are among the most isolated in the world. History tells us that Arab traders first sailed to the Seychelles around 800 A.D. Phoenician, Polynesian, Chinese, and European explorers followed, but it wasn’t until the 1700s that French colonists settled on the larger islands. Today, the population of the entire country numbers only 84,000, and it represents a rich commingling of French, British, Indian, Middle Eastern, and African culture. The French influence remains prominent; Creole is commonly spoken along with English. While coral atolls make up most of the 72 low-lying Outer Islands, the majority of the Inner Islands, the largest of which consist of Mahé, Praslin, and La Digue, are geological wonders of twisted granite, mountainous and lush with tropical forests that support species of birds found nowhere else on Earth. Giant tortoises inhabit some of the Seychelles, nesting on the fine, white-sand beaches fronted with exquisitely beautiful coral reefs and azure seas that make a Seychelles sailing vacation unique and enriching. Since there is a minimum of pollution in the Indian Ocean, the waters around the Seychelles are some of the clearest in the world. The sailing is splendid, featuring a mix of open-water passages and island hopping to beautiful coves for a restful night at anchor. Chartering in this less-traveled destination is a unique and memorable adventure. These isles, unlike anyplace else on earth are world-famous for abundant wildlife, coral reefs teeming with sea-life, and pristine white-sand beaches. For an up-close and personal account of the Seychelles, please see the article SEYCHELLES UNPLUGGED by Tim Ecott published in October 2012 edition of the prestigious Economist publication Intelligent Life. Tim has visited the Seychelles 48 times, by his own account..!! This is a very accurate and contemporary view of the Islands. If you have any questions about our Seychelles Yacht Charter offerings call us at (877) 759-8263 or contact us by email today.